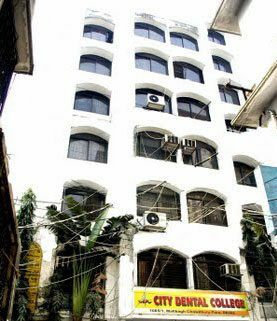 In City Dental College Information, It was established on 13th May 1996 in Malibagh, Dhaka. Now it is planning to shift in its own new campus Khilkhet, Dhaka. In the new campus, in 15 storied colleges building, 200 bedded well-equipped moderns hospital, boys and girls hostels and teachers-staff quarter and playground. Also, this institute will provide is own transport for its students and stuff. Here we gather all the information about City Dental College information and City Dental College in the admission process. This privet dental collage is affiliated college of Dhaka University. Let’s know more about City Dental College information and City Dental College admission process. The dental college is consisting of 6 high rise building at Malibagh. The department and offices of the building are air-conditioned. In the college, there is a library with a study room for the students support. In the library, there are more than 4000 books, 5 subscribe journals and 45 magazines in the library. Students will get here many research materials, slides, CD-ROM database, and A/V Cassettes in the library. In addition to City Dental College information, it offers 4 years of Bachelor of Dental Surgery (BDC) including a 1-year internship in the city hospital. All the academic schedule, subject, class, examination is conducted by Dhaka University. The name of the courses of the privet dental college is given below. Students, who want to participate in the admission test, just submit an admission form through online with necessary details including academic information of SSC and HSC or equivalent examination. After the confirmation of the college students will call for admission test which is taken in MCQ format and they will be selected in the basis of their merits. All the process of City Dental College admission is done by online. Just download an application form and submit it to [email protected] and sent TK 1000 to the bKash number 01793511534 as application fee. You have to add your bKash number to the admission form. To know more about City Dental Medical College admission or City Dental College information, then contact to these addresses or numbers. So that is all about City Dental College information and City Dental College admission process. To know more about Dental Colleges in Bangladesh, keep visit in www.bdeducationinfo.com. This entry was posted in Dental Medical College, Medical College and tagged admission dhaka City Dental College by admin. Bookmark the permalink.